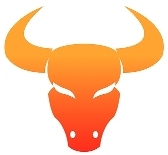 Visit Horoscope Compatibility for Taurus for more compatibility analysis. The following is the detailed comparative analysis of the compatibility status of Taurus with other signs. Hardworking, loves status quo, peaceful, not easily excited, violent and dangerous when angry, down-to-earth, practical, cautious, honest, dedicated, perseverant, stubborn, meditative. This is a rather short term relationship and can only be successful if Aries has an upper hand. Taurus and Aries have contrasting, sometimes, clashing natures. For example, while Aries can be rash, impatient, impulsive and quick to act right away, Taurus is deliberative, calm, contemplative, practical and wishing not to disturb the status quo. Both of you should develop the habit of patiently listening to each other’s point of view before running off the tangent. Both these signs seek security and are quite passionate, loving and affectionate and so they make a great pair. Taurus can handle the mood swings of Cancer and provide her/him the much needed emotional support. Both of you are simple souls: home-bound, hardworking, caring, friendly, empathetic, warm and considerate, reclusive, contented and peaceful. Cancer is more emotionally involved and sensitive while Taurus is pragmatic and calm. There are no issues with compatibility. Taurus likes to dictate terms and this is not something that goes well with Libra. Although, they both love music and art they are unlikely to have a strong union. Both make an excellent pair as co-workers, friends, comrades, lovers or married people. While Taurus is rather extraordinarily home bound, reclusive, quiet, contented and self-contained, Libra acts as a balancing factor in that they try to bring some cheer in their life by their communicativeness and creative activities. There are perfect prospects for this duo to have a very harmonious relationship. Both the signs are highly passionate, earthy and sensual and so they are an ideal match. Both of you are sensitive, cerebral and pragmatic. You take up various issues with mutual understanding and discussion without getting annoyed on dissenting opinions. But this kind of attitude ultimately tends to generate boredom and monotony. You must add some spice, fun and romance to your routine to make life interesting and enjoyable. While a short term union is possible, they are likely to get bored with each other in the long-term. Being of the same genre, you are both trustworthy, honest, pragmatic, patient children of the earth. But both of you are stubborn and headstrong also, which may, sometimes, lead to clashes. Initial hiccups apart, you should be perfectly compatible and happy with each other over the time. Gemini is playful, and mischievous and this does not bode well with the Taurus and so these signs are not very compatible with each other. Even though Taurus may, sometimes, be awed by Gemini’s agility, quick-footedness and wit, yet they also get irritated by the latter’s inconsistencies, lack of firmness and frequent changes in stands. Taurus and Gemini may have to make some effort to be respectful to each other’s dispositions in order to be compatible with each other. Leo can be short tempered, extravagant and expansive while Taurus is strong-willed and deliberate. A relationship between them would have its share of hurdles. Taurus and Leo both have identical and contrasting traits. Both are strong, stubborn and honest. But while Taurus remains calm, deliberative and patient, Leo may be hasty, temperamental, impulsive, flamboyant and boisterous. Also while Taurus loves to stay at the same place of work, Leo loves to go out and make friends. Both the signs are homely and share intellectual abilities. They can be successful when they work as a team. Both of you are soft-hearted, considerate, gentle and practical. You should find no issues to clash with each other whether you are co-workers, lovers or wedded to each other. You can build an excellent equation and enjoy a rich, rewarding, reliable and long-lasing companionship. Both signs share the common values of honesty and transparency however Taurus is possessive and is unlikely to give enough space to Scorpio and so the union is not likely to be very smooth. Taurus and Scorpio have some temperamental similarities. You share not only some virtues, but vices as well. For example, while both of you are strong, simple, straightforward and honest, you are also possessive, stubborn, jealous and non-communicative. You need to compromise on your likes and dislikes in order to be compatible with each other. They may bond well for a short while but are unlikely to share a long term successful relationship. You differ more than agree with each other. Taurus is conservative, traditional, loves stability, reticence, routine and status-quo. Sagittarius easily gets bored, is out-bound, adventurous, fun-loving, gregarious and communicative. You need to give space to each other to live peacefully. Aquarius is altruistic by nature and this is in direct clash with the ambitious nature of Taurus and so they are not very compatible. Taurus is pragmatic, grounded to realities, cautious and conservative. Aquarius, on the other hand, is progressive, experimental, unconventional and prone to taking risks. The two approaches often generate hot exchanges, which can be avoided through cordial discussions. These signs share the highest level of compatibility. Taurus provides a sense of security to vacillating, emotional and dreamy Pisces. They share lot of appreciation for art, sensuality, beauty and other things in life. Taurus is temperamentally mild, moderate, peace loving and avoids conflicts as far as possible. Pisces, too, is by and large of the same nature — honest, kind, emotional, reliable and sensitive. Some occasional differences of minor nature are likely to crop up, which can be easily reconciled for a harmonious and lasting relationship.